This is a significant shift since the days, not long ago, when the federal government began promoting “clean coal” – a concept that has generated enormous scepticism – as the central element of its strategy for controlling emissions from electricity generation. 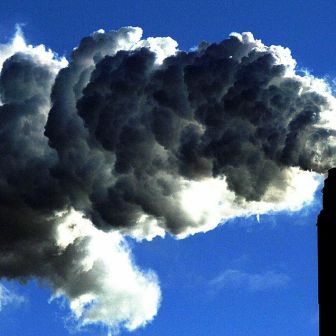 Backed by a half a billion dollar fund to promote carbon capture and storage, the scheme looked like locking the government into a single way of dealing with the enormous greenhouse impact of Australia’s electricity industry, and especially the power generated in Victoria using the Latrobe Valley’s cheap, plentiful and very dirty brown coal. 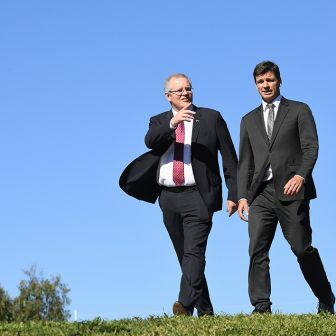 Martin Ferguson’s announcement included $152 million for two South Australian geothermal projects, a measure of the growing interest that this renewable source is attracting. The momentum has increased now that geothermal’s main economic constraint – the fact that “hot rocks” and major concentrations of population and industry are a long way from each other – might not be such a problem. The hot rocks are still out there, but the case for funding the necessary transmission lines seems likely to improve as existing research, development and testing establishes the long-term viability of those locations. And new sources of geothermal energy, much closer to population centres, look increasingly likely to be viable. This is where coal comes into the picture in an unexpected way. Preliminary analyses of existing drill holes in the Latrobe Valley suggest that brown coal is acting as an insulator, producing higher subterranean temperatures than in most parts of Australia. The region’s proximity to Melbourne, its existing electricity transmission infrastructure and its skilled workforce make this new location a tantalising prospect. 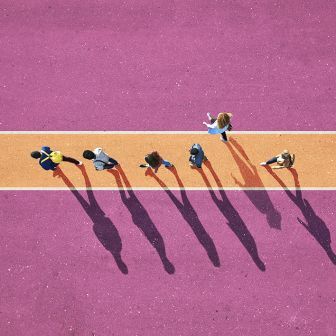 Leading the project at Melbourne University’s Energy Research Institute are Rachel Webster, professor of physics, and Edwin van Leeuwen, former head of BHP’s Global Technology Group. Van Leeuwen’s involvement came about as a result of a chance encounter at Singapore Airport not long after Webster, who has a longstanding interest in climate change, began to wonder why geothermal wasn’t being taken more seriously. She’d been looking through the options for cleaner energy production and was struck by the lack of government support for what seemed like a cheap, viable alternative. The Latrobe Valley’s brown coal – a layer around 400 metres thick – is close to the surface, abundant and relatively easy to extract, generating over half of Victoria’s greenhouse gas emissions. At current rates, the known reserves would last for around 500 years, but because there’s an increasingly chance that coal won’t be mined in fifty years time, let alone in 2500, the industry is fighting a strong defensive battle. For the first time, exports are a possibility, with a joint venture company, Exergen, pressuring the state government for the go-ahead. The company’s “continuous hydrothermal de-watering” technology, which it says also reduces greenhouse emissions by 40 per cent, has made exporting brown coal a practical proposition. It’s hard to see John Brumby’s government resisting the temptation to give them the go-ahead, adding further to the environmental impact of the Latrobe Valley’s best-known product. What captured the interest of Webster and van Leeuwen is the real possibility that temperatures are high enough between four and five kilometres below the valley surface to make geothermal power generation viable. If that’s the case then it runs strongly counter to the conventional image of geothermal energy as a resource that can only be captured in hot, remote parts of Australia. Their project, the Victorian Geothermal Assessment Report, aims to map the state’s geothermal potential and demonstrate that generating power from the resource is technically feasible and cost-effective (and could incidentally pick up potential sires for other uses, including CO2 storage). It will then be up to companies or government, or both, to take up the opportunities. 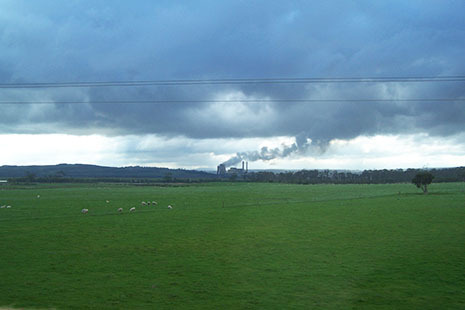 Developing a research facility in the Latrobe Valley, or one of the many other prospective geothermal sites across southern Victoria, will give Webster, van Leeuwen and their colleagues the chance to test their initial findings to the point at which a commercial operation could adopt and extend the technology. If the temperatures are right in the Latrobe Valley or elsewhere in Victoria then producing the power is conceptually straightforward: a fluid is injected into the subterranean rock, heated to a temperature sufficient to drive a turbine and brought to the surface. The electricity is generated by a turbine, similar to the plants that produce power by burning coal. The resource itself is virtually limitless. But there’s some way to go before the plan is “de-risked,” Webster and van Leeuwen told me. The first step is to identify the most promising locations, using gravity gradiometer technology developed by van Leeuwen at BHP. Once those spots are found – the surveys could be completed by as early as February next year, says van Leeuwen – the researchers will drill a series of slimline wells to a depth of between four and five kilometres (at a cost of around $5 million each), where the temperature, porosity, permeability and other characteristics of the rock can be tested. Readings so far, using existing, shallower boreholes, are very promising – at depths of around 700 metres, temperatures in parts of the Latrobe Valley “are amongst the hottest measured in the country,” according to Webster. If the evidence from the four to five kilometre mark is positive, the project will move to the development stage. The fluid pumped down the boreholes needs to make its way through the rock, increasing in temperature, before it returns to the surface via a second set of boreholes. To make this happen, the project will need to break up the rock (using water pumped at high pressure) to create the reservoir through which the fluid will pass. The researchers will also be assessing the optimal trade-off between depth and temperature: with the cost of drilling so high, it might prove more cost-effective to heat the fluid to a lower temperature and run a less “efficient” generator above the ground – especially given the abundance of the heat resource. “It might come down to a question of twenty degrees versus an extra kilometre,” says Webster. Alongside that process, the project will be drawing on international experience to design a geoathermal research facility that captures enough fluid to drive a five megawatt–equivalent power station above ground. To be developed in partnership with research organisations including the CSIRO, Monash University, Geoscience Victoria, together with a consortium of companies, this facility will cost somewhere in the order of $30m. It will become “a laboratory,” according to van Leeuwen, in which researchers can assess the viability of a series of larger power stations. By that stage the project will have cost somewhere near $100 million. The test facility will help refine important aspects of the project, including the question of which fluid to pump into the boreholes. Usually the fluid is water, but one option is to use CO2, which (as a gas) is easier to pump. Once it’s heated and returned to the surface, the heat from the CO2 would be transferred to a suitable fluid to drive the turbines. 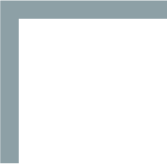 In the United States, the Department of Energy’s recent announcement of $338 million in funds for geothermal energy research includes some $16 million for researching a role for CO2 in the geothermal process. Apart from drawing on a cheap and abundant resource, geothermal energy has another very attractive attribute. Unlike solar and wind, it can provide a constant flow of power regardless of above-ground conditions. According to Webster, geothermal “not only provides baseload power but its output can easily be varied in response to changes in demand.” Analyses by McLennan Magasanik & Associates and HSBC both show geothermal fairly quickly becoming cost-competitive with coal. The Melbourne University team is not the first to pick up the link between coal and accessible geothermal energy. Greenearth Energy Limited, a Melbourne based company, holds exploration licences in the Latrobe Valley, but its efforts have been concentrated on establishing a 10.7 megawatt facility in a coal-rich area near Anglesea, south-west of Melbourne. This growing interest in geothermal is reflected Australia-wide. While the industry has moved into the development stage in South Australia, the search for promising sites is intensifying in most other states; all up, nearly fifty companies are carrying out exploration. The South Australian government has invested $1.6 million in a new South Australian Centre for Geothermal Energy Research, based at the University of Adelaide, and the Western Australian government has put funds into the Western Australia Geothermal Centre of Excellence, a collaboration between the CSIRO, the University of Western Australia and Curtin University of Technology. In Queensland, the state government has its own scientists mapping potential sites. Developing a Victoria geothermal research facility is part of a process that could take twenty years to unfold, and will require significant investment by private companies and from government. 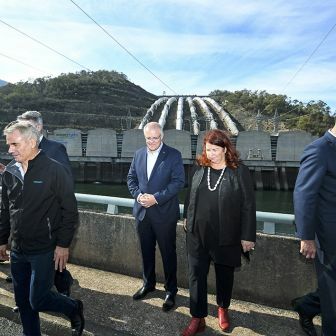 “Remember,” says Webster, “all the existing generation facilities in the Latrobe Valley were built by the state government.” She agrees that government attitudes have changed over the past few months, and both she and van Leeuwen are hopeful that the funds will be found to get the five megawatt–equivalent facility up and running. 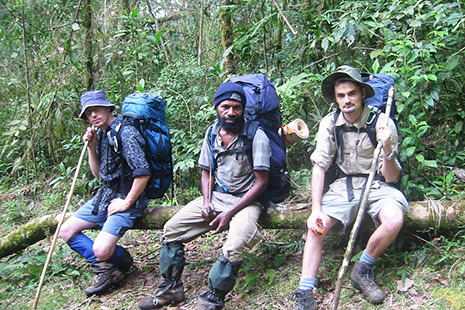 Above: Three tired walkers on the Kokoda Track.